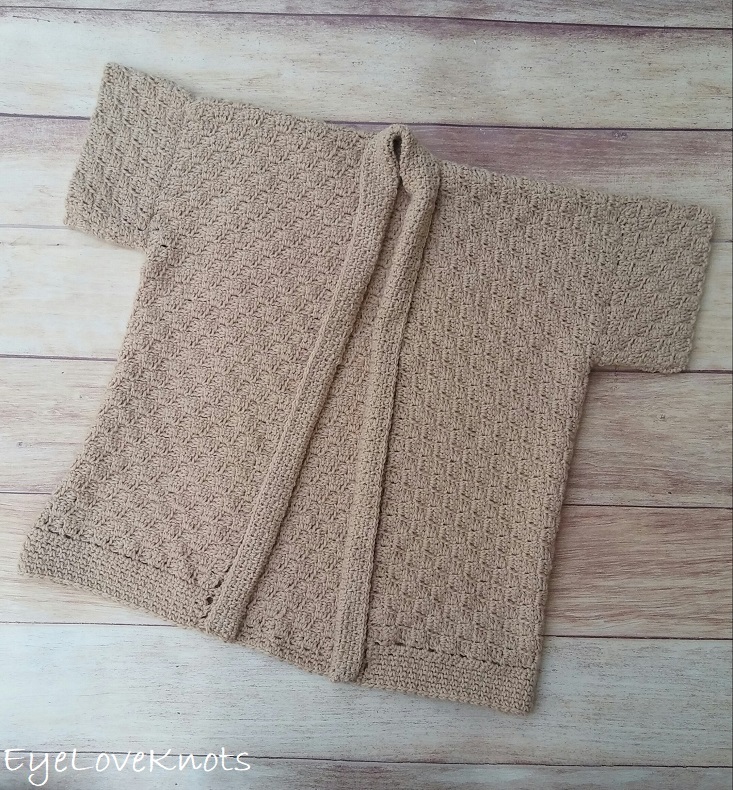 I am sharing a crochet pattern review of Corner-to-Corner Cardi designed by Jenny King for Annie’s Signature Designs using the soft, squishy, warm Berroco’s Vintage yarn. 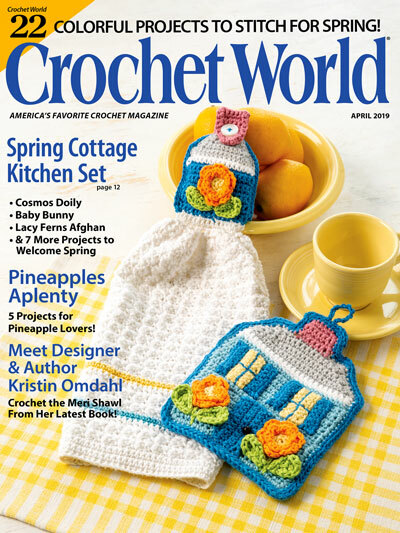 This post contains affiliate links for Annie’s, Consumer Crafts, LoveCrochet and SheIn. If you make a purchase by clicking on them, I make a small commission at no extra cost to you. Thanks for your support! 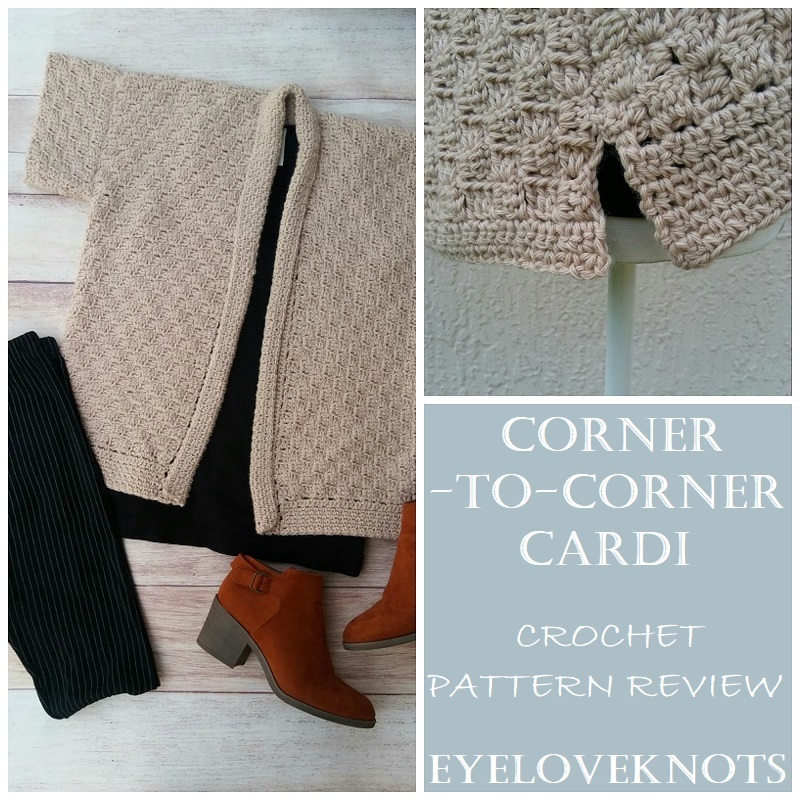 This month, I am sharing a crochet pattern review of a cardigan that’s been in the works for a couple months now. 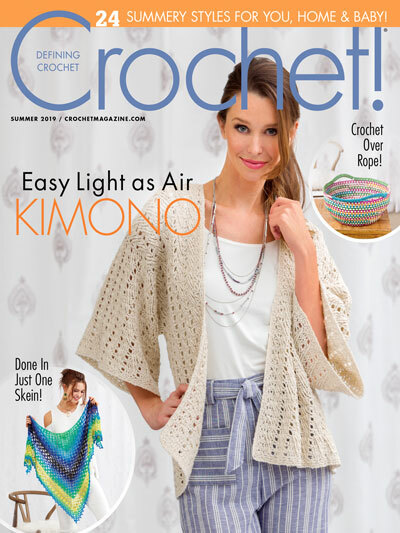 Late February, I shared My Wishlist of Annie’s Signature Spring 2019 Crochet Designs, and this Corner-to-Corner Cardi was at the top of my list. 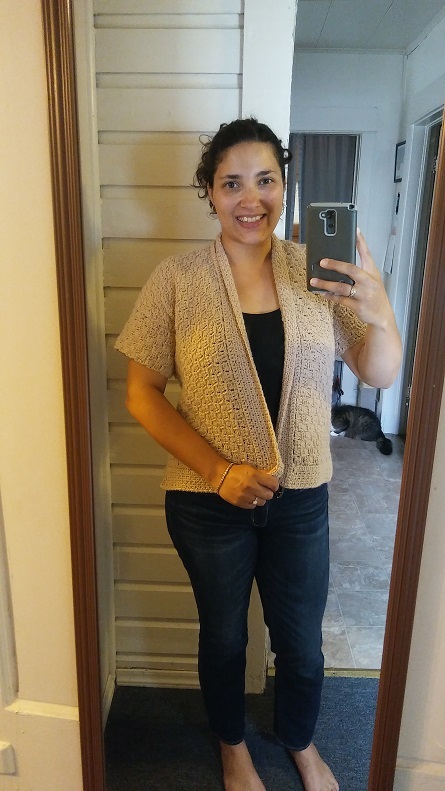 About a month and a half prior to finding this cardigan, I bought some Berroco’s Vintage Yarn to turn into a sweater, but as I worked, and ripped back, and worked, and ripped back, the sweater idea went out the window, and this yarn went into my stash, so as soon as I saw this cardigan, I knew it would be the perfect match! 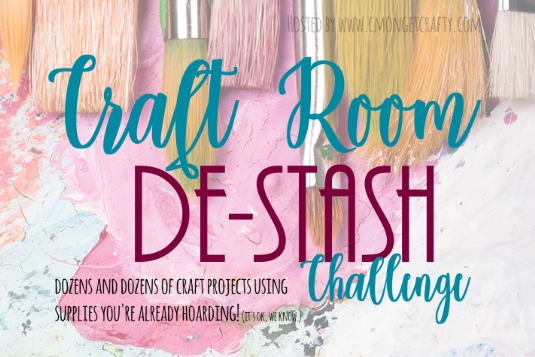 Stash yarn + free crochet pattern (gifted to me by Annie’s Catalog – thank you, Annie’s!) = $0 investment. So, the original pattern estimates you need 1,725 yards for the Small/Medium size. I forgot home many skeins I had sitting in my stash, so the range is because I either used 5.5 or 6.5 skeins – can’t remember! Original pattern uses Lion Brand’s Jeans yarn. Any lightweight worsted weight yarn will work, for example Lion Brand’s Wool Ease Yarn. Fiber note: In Florida, an acrylic option like the Jeans yarn, or a wool option like the Wool Ease or Vintage I used are TOO HOT for anything but a cold office or some Winter. 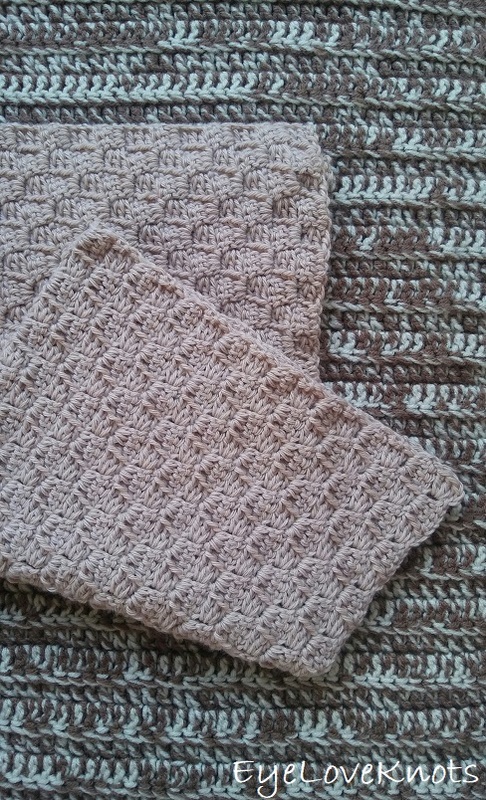 If I worked another cardigan, I would try Berroco’s Modern Cotton, or a cotton/acylic blend. Keep this in mind depending on the weather you will be experiencing. I used the J10/6mm hook to meet semi meet gauge (you’ll find more in my pattern notes section below), and the K10.5/6.5mm hook to work the final edgings and collar (also more on this below). I worked my cardigan up in several seatings (over 2 months, yikes!) for a total of just over 14 hours. Oversized, Ladies Small through 3X. 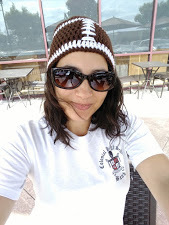 I am a regular Large 38″ bust, and worked up the size Small because I like my tops more fitted. Patterns gauge was with H8/5mm crochet hook, 5 boxes = 4″. When I tried with an H8/5mm hook, I got 3.75″. With an I9/5.5mm hook, I was only measuring a little larger than this, so I knew with a J10/6mm hook, I still wouldn’t meet gauge, and I didn’t want to go larger than that. I decided due to the thickness of the yarn, I would stick with the J10/6mm, and just adjust as needed. Alrighty, let’s start at the beginning. This is an oversized top. The small/medium is for a 47″ bust (which normally small/medium is roughly 32″-36″) – way larger than even a normal large, so I decided to just stick with the small/medium instructions, and go from there. The instructions also give instructions for working a box differently than I am used to. I did try it the patterns way, but the boxes weren’t even, so I ripped back, and worked the boxes my way, which I feel is pretty traditional. I started with the back panel, as the instructions state. At the end, I was measuring only 20.13″ tall, so I added another set of repeats, and ended at 22″ tall – perfect! Onto the front panels… I thought I interpreted the front panels correctly, but when I went to assemble my cardigan, I was a little confused, so I am not 100% sure on this, but I am going to explain how I worked mine, and a little further down, I will say how I resolved the issue that popped up. The rows themselves finished two rows shorter than the back panel. When I noticed this, I went to the schematics, and thought, “okay, the front panels are supposed to be 2″ shorter than the back to allow for the front edging”. I worked as written, and then I added two rows to the height (because I added two rows to the back panel). For the sleeves, I found that the 5 boxes from the pattern was only measuring 3.5″, and the schematics show 4″, so I made it 6 boxes. While I adjusted this perfectly, I forgot to adjust the overall width of the sleeves to accommodate my size Large arms, which would have been something like a 19″ (or even as low as 17″) long panel, instead of the 15″ long panel I ended up with. I did not realize this until I put the cardigan on later, though IT STILL FIT! Just snug. Pockets… I skipped the pockets because I really didn’t want any. Assembly time! The instructions state to work some sort of chain stitch technique that is explained in the pattern, which is basically, working the moss stitch through both layers. I did not like the look of this joining technique, so I used a basic whipstitch. After sewing the shoulders together, I laid the large piece of fabric out flat, and then laid my sleeve out centered with the shoulder seam – in my case, the 12th box was lined up with the shoulder seam, and there were 11 boxes on each side. 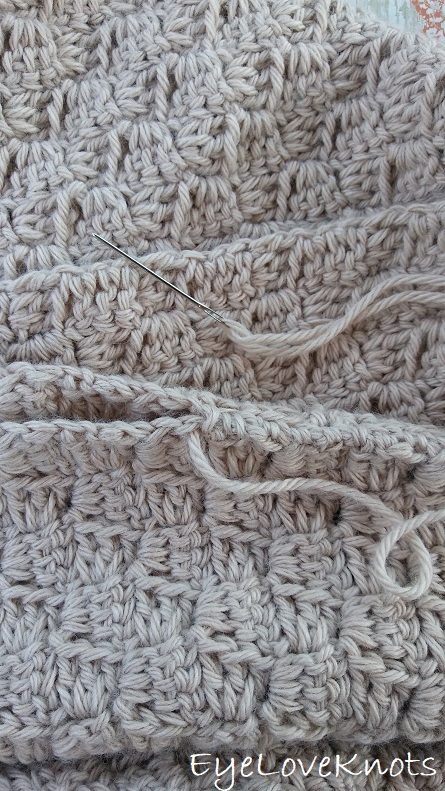 Then I evenly whipstitched down – you may like to use some sewing pins to help you keep the sleeve in place. 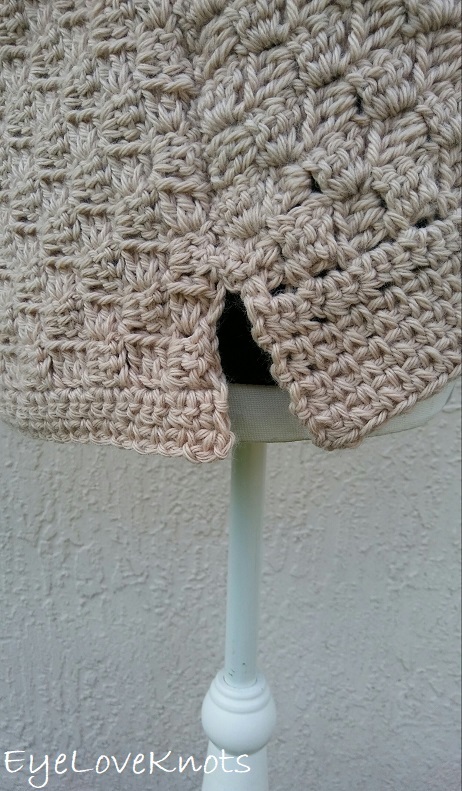 Let’s talk about the final edging, then the cardigan is ready for wearing! 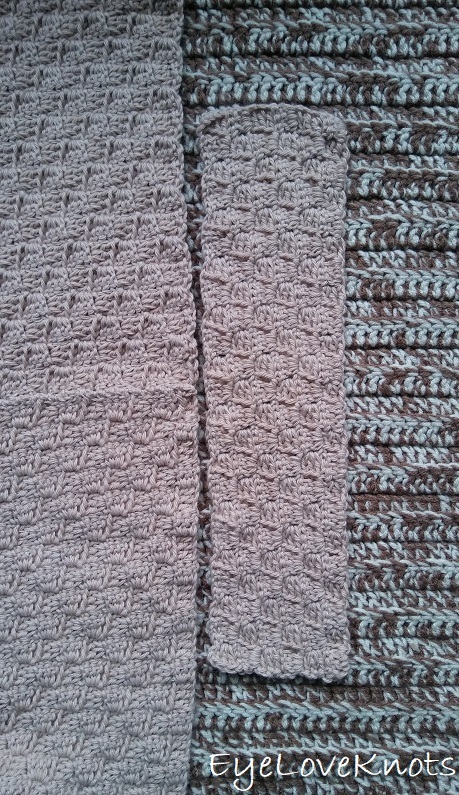 The final edging is worked in the moss stitch pattern. 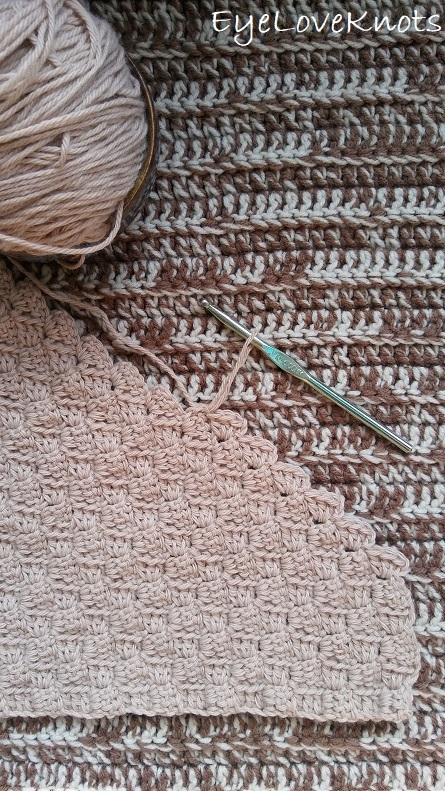 If you are not familiar with this stitch pattern, it is very simple to work, but also very simple to decrease the size of your project unintentionally. 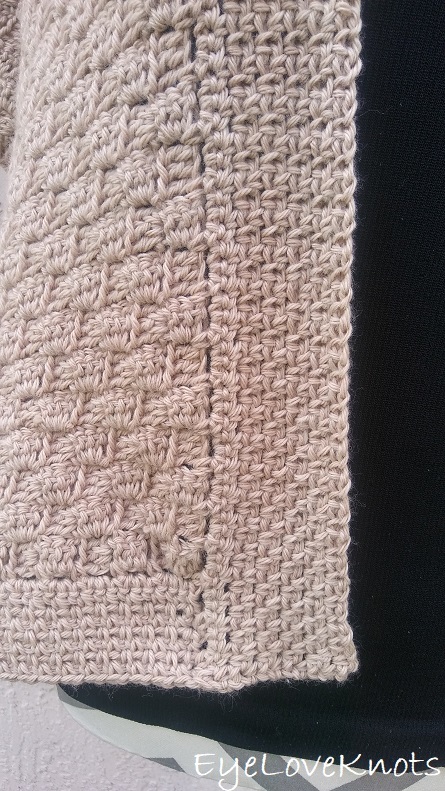 For this reason, I decided to go up one hook size so I had a little more leeway, and I strongly encourage you to work your stitches loosely, otherwise the edgings will be tight, and not even with the rest of the piece – this is just the nature of the stitch pattern. Because of this, I skipped the sleeve edging. And I want to point out, I was planning on skipping the sleeve edging even before I realized I didn’t adjust them properly. Also, the first row of the edging is straight into the moss stitch, which I couldn’t see how this was going to work well evenly into the corner to corner stitch pattern, so I worked the first row as: “single crochet into the corner stitch, *chain 2, single crochet into the next space between squares, rep from * across”, then row two as: “2 single crochet into each chain space across”, and at row 3, I picked up on the moss stitch edging. 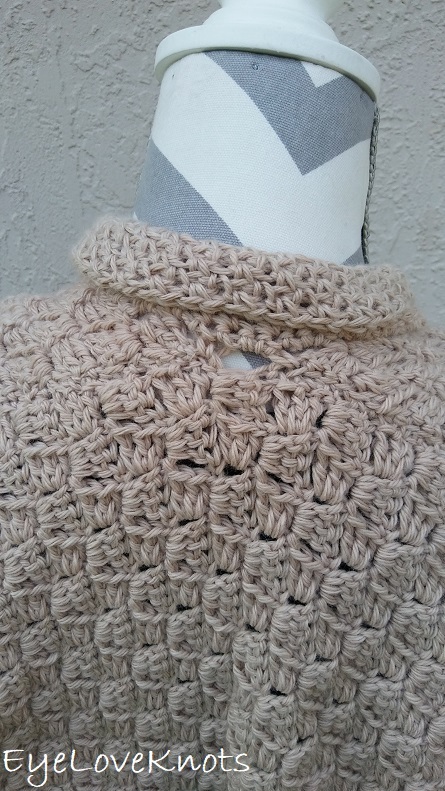 The only spot that there was stress from this stitch pattern was the center chain space at the back of the neck, so maybe some solid single crochets through this spot. 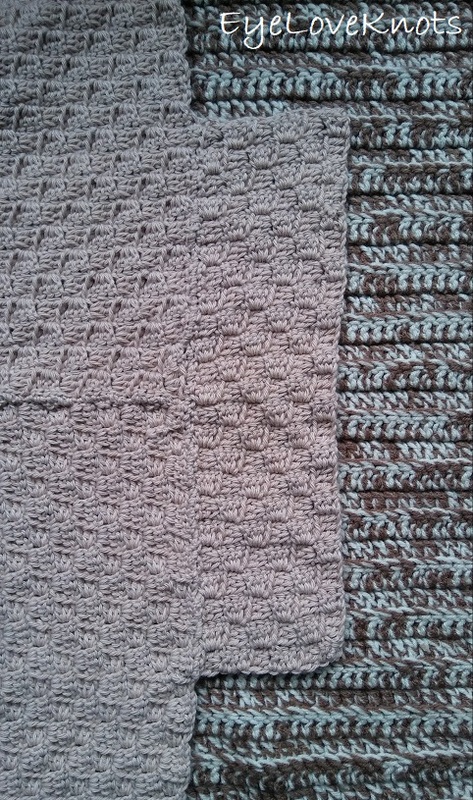 So, remember before when I said I was confused with the front panels when I worked the edging? Well, I understood the edging as work from the inside corner of the left panel, around the back panel, and end at the inside corner of the right panel (and continue in rows), HOWEVER, my front panels was shorter than my back panel so how on Earth was this going to work? I tried a few ways until I ripped back, and simply decided to do it my own way with an even side split. To achieve this, I worked the back panel, and two front panels all separately for the bottom edging. For the back panel with only 4 rows of the repeat, and for the front, I worked the 9 called for in the pattern. For the collar edging, I worked the first two rows the same way as I did the bottom, and then proceeded in the moss stitch following the pattern. Then I weaved in my final ends, and tried on my cardigan. Here I am wearing a tank top under the cardigan because of the slightly tight armholes. With a tank top, the armholes fit comfortably (though with a t-shirt, the armhole area is too bulky). Other than that, perfect! I love this combination! It’s the same black tank top, my comfy Vertical Stripped High Waisted Leggings from SheIn (fit like Junior size, and if you have a booty, wear at the hips NOT high waisted), and my FAVORITE Brown Almond Toed Chunky Heel Boots (order one size up) also from SheIn. Join the EyeLoveKnots Crafting Community on Facebook to share your creations, and see what others are up to. Very pretty – this could go with so many different outfits! Beautiful design and so versatile. What a pretty cardigan and what a great talent you have! It looks wonderful. Pinned. Alexandra, this cardigan is beautiful. I think it is great that you monitored the time necessary so we know what to expect.